Editor's note: House hunters have been given more space in choosing their apartments through a new platform, heavily reducing their reliance on traditional property agents. Besides offering more transparency in the history, nature and quality of flats, the platform serves to strengthen communication between agents and clients. Hong Kong's property agencies have had their fair share of dominating the city's landscape over the years - their omnipresence is all the more conspicuous at the height of the property boom, and serves as a constant reminder of the industry's salient role in the local economy. But, to Asif Ghafoor, it reveals an outdated side of the city's real estate market. He thinks that even with their extensive, powerful networks on the streets, this long-standing industry doesn't seem particularly keen in embracing the digital age. "There was a lack of transparency around prices, income distribution in various districts, the gender ratio, ethnicity, languages, cafes, bars, etc. People feel like they have to rely on (property) agents, who are paid based on commission, so there's no independent mechanism to verify what's happening in the market," Ghafoor moans. 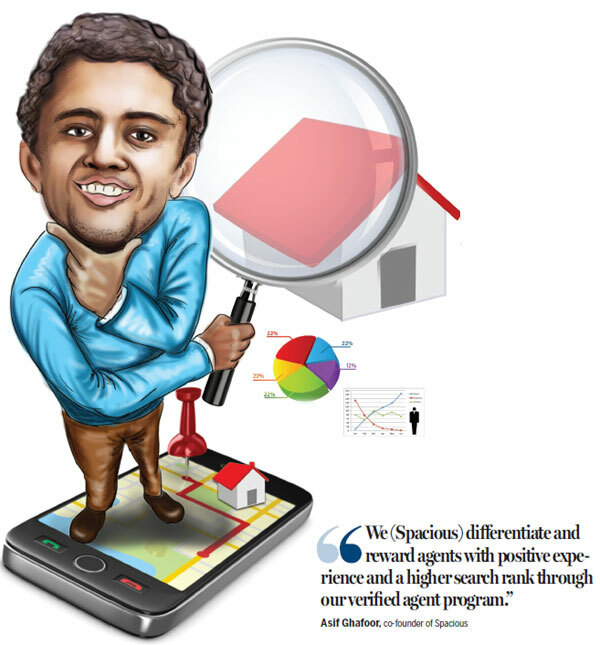 Ghafoor, a former software engineer with more than 11 years' experience working in Goldman Sachs and Standard Chartered Bank, came up with an online property listing platform called Spacious. The goal is to provide more transparent information to make house-hunting less of a hassle. When Spacious was launched in 2013, it encountered resistance from the traditional property agencies, which were skeptical about posting their listings on the platform. "I made cold calls to agents over and over, but none of them was willing to listen," recalls Brian Sze, the first salesperson at Spacious and who's now in charge of its business development. "They had never heard of Spacious at that time, so they couldn't possibly trust us with their listing resources." Brian - the grandson of Sze Chi-ching, a Hong Kong entrepreneur, calligrapher and former member the Chinese People's Political Consultative Conference - was born into a notable family with diverse businesses ranging from manufacturing to real estate. To him, his family's success in business is never a message that life is a bed of roses - one has to go out to strive for his or her own career. Brian Sze founded a co-working space called Workground last year, which was later sold to TusPark Hong Kong, after having worked as a consultant for a real estate company in Shanghai. His experience in the industry plus his entrepreneurial drive, gave him perseverance, or a "thick skin" as he calls it, to take up the sales job with Spacious. Countless harsh rejections by agents did not deter him from giving up. His efforts eventually earned him a meeting, which turned an annoyed agent into a long-time client of Spacious. Spacious proved to be a cherished asset for property agents by providing them an alternative platform for property listings. It also sets standards for agents' services. "We monitor the listings they post to see how they interact with people making enquiries," explains Ghafoor. "Using such information, we differentiate and reward agents with positive experience and a higher search rank through our verified agent program." Spacious makes user experience its top priority, starting from an ad-free homepage. The site pins all listings on the map, which provides a very visual, straight-forward display of the prices and locations of all properties available in the area. For those who wish to have a better understanding of the neighborhood, Spacious tips them off about which properties are haunted, how many of their neighbors there speak English or Mandarin, which political parties the district councilors come from, and provides demographics, including household income, age group and the gender ratio. Benny Hui, head of operations for Greater China at Spacious, says the platform is not a property agency but a tech company, and its aim is to facilitate communication between agents and clients. Currently, Spacious charges agents a listing fee from their marketing and advertising budget instead of splitting commissions from closed transactions. As trust and recognition of the industry grows gradually, the number of listings has now exceeded 40,000 and keeps climbing. Spacious is setting its sights afar - targeting Shanghai, Taipei and Singapore for bigger markets - having closed a $3 million funding round in June to aid its expansion. "If we're only focused on the Hong Kong market, we can hardly raise funds," Hui says. 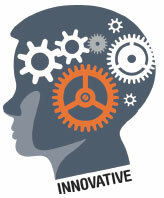 "There are reasons why tech startups like us have been able to raise funds without much fuss. Firstly, our technology counts, and secondly, our business model is scalable. (If we) take the technology to other cities, copy the model and hire the right people with localization tactics, we can roll out every quickly." Spacious' next challenge is to build up the right sales and operation teams in Taipei and Shanghai, according to Hui. He expects them to open the door for the next round of investment once they begin monetizing in these markets. He's confident that the team's local knowledge and connections on the mainland will come in handy for their upcoming expansion. "We have networks we can leverage on in the mainland market," Hui says. "Having the right business model is important, but building the right guanxi is equally significant to the success of a business."